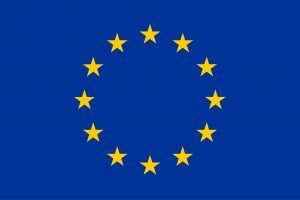 The focus of WP4 is to assess the risks of climate change and their socio-economic implications for fisheries and aquaculture in Europe. To that purpose, WP4 will first, identify the relevant parameters for the measurement of risks and opportunities, then identify and produce a list of those that are relevant for each case study. Based on the former, WP4 will conduct a socio-economic analysis of the impacts for each case and finally develop an early warning system to ensure rapid responsiveness, in case of the materialization of the identified risks and opportunities. To establish clear criteria of assessment and parameters of measurement of potential risks and opportunities arising from the effects of climate change, for European fisheries and aquaculture operators, it is necessary to provide a unified definition of risk, exposure, resilience and all other concepts required to correctly determine, categorize and assess potential outcomes relevant for the production sectors and activities evaluated in ClimeFish. The concepts of risk, exposure, sensitivity, vulnerability and resilience have been broadly studied in recent years, under the paradigm of climate change. Our definition of risk considers the elements of first, the probability of occurrence of a climate-driven event and second, the potential impacts this event might have in a specific system or activity under evaluation. We have produced a diagram to better show the approach of WP4 in the task of risk assessment and to illustrate the data flow and communication across work packages in ClimeFish. The evaluation process starts on the left size, in the area identified as “Climate change scenarios”. This area is mainly defined from the biological forecasting carried out by WP3. 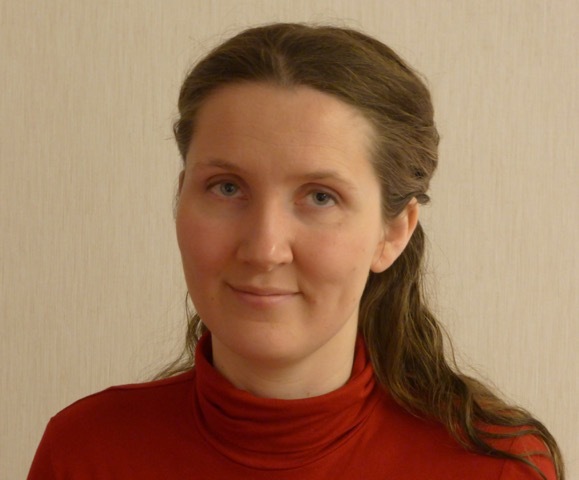 WP3 will provide forecasts for the various case studies, for instance, in terms of changes in production for the defined RCPs scenarios in the short (2015-2025), medium (2025-2035) and long term (2045-2055). These forecasts will be accompanied by an estimation of probability or likelihood. The data outcome of the forecasting exercise will then feed the first component of risk, as the element of potential event and its probability. The second area of evaluation identified as “Socio-economic characteristics” refers to the socio-economic component of risk, represented by the potential impacts of a climate-driven change or event in the system or activity under analysis. To determine and score the level of impact of one event or change, the first aspect to be considered is the level of exposure of the system to the specific event. The exposure level responds to the question: What is at stake? These questions define the criteria of analysis of this component, which requires quantitative and qualitative parameters to identify, evaluate and assess, the level to which, the elements present in the correspondent region or area where the fishery or aquaculture activity is carried out, can be impacted. The second component to assess potential impacts is sensitivity. The element of sensitivity refers to the degree in which a system or activity can be impacted from the occurrence of a change or event. Hence, this component will respond to the question: How much can it be affected? This question refers to a more qualitative criterion of analysis, than quantitative, since sensitivity includes elements that directly or indirectly influence the level in which, the activity can be negatively or positively affected, but also how ready the system is to cope or to take advantage of the event or change or event, when it occurs or manifests itself. Lastly, once the level of exposure and sensitivity has been established, the potential impacts can be assessed and included as the second component of risk and/or opportunity. This method of identifying risks and opportunities, from the disaggregation of their potential impacts, provides relevant data output to WP5. Considering that WP5 has the purpose to develop strategies to mitigate risk and utilize opportunities, a more comprehensive understanding of the potential impact and its components, can add relevant content to the information that they can utilize to develop their guidelines and management plans. 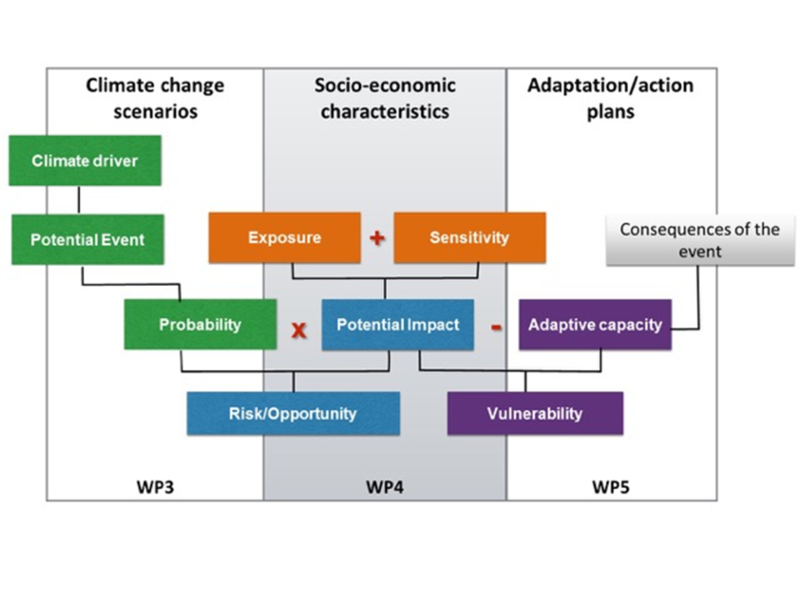 As the figure illustrates in the area “Adaptation/Action Plan” there are two data outputs that WP5 can benefit from, these are the potential impact analysis, and the final risk and opportunity assessment. The expected output from the analysis conducted, based on the criteria mentioned above, is to define a list of relevant risks and opportunities for each simulation or implementation case study. This list will serve as a starting point for the socio-economic analysis of the potential impacts for the two RCP climate scenarios. This analysis will facilitate the definition of a scoring system that assigns a weight and level of significance to their potential consequences for each case study. The methodology for scoring the risks will be defined in more detail as the work in WP4 progresses. 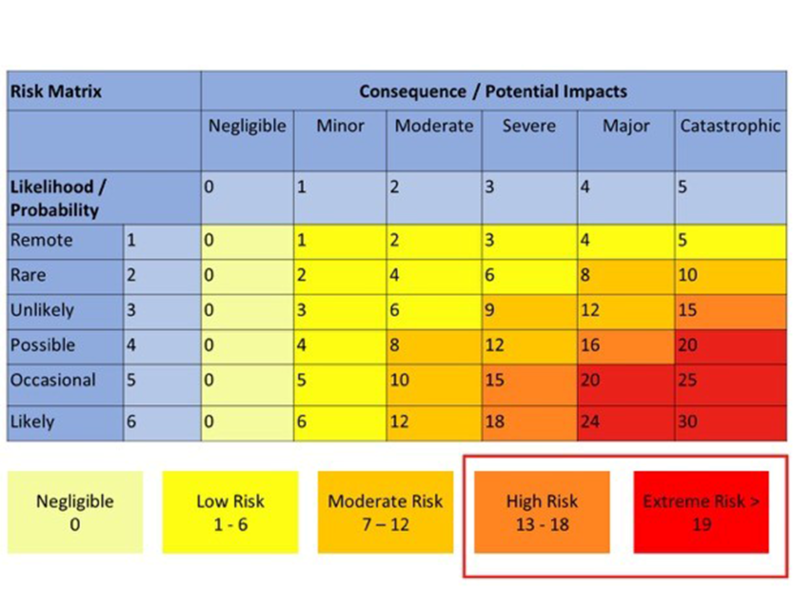 Nonetheless, the scoring of each risk and opportunity will be conducted in accordance with stakeholders, as outlined in a Risk/Opportunity Matrix. The next step for WP4 will be to develop further on the methodology and analytical process defined above and to identify the risks and opportunities to be included in the overall assessment. The risks and opportunities considered will evolve throughout the project based on upcoming deliverables from WP1, WP3 as well as an interaction with stakeholders.